It's vital to use a professional, trusted source for something as important and lasting as a modification to your own home. During a time of year when many people consider changes in their lives – both large and small – the big question most often seems to be how best to go about implementing that change. They may seek the best diet to help them shed a few pounds, the best doctor to help ensure their good health, or the best method to help them quit smoking. However, change doesn’t always have to refer to the self. Some people will seek to change the world around them – from a global aspect such as becoming more eco-conscious and doing their part to save the world, to a “closer to home” perspective such as altering their home environment to mold it to the needs and desires of their own unique family. While we can’t help you with the best diet for 2011 or the latest methods to quit smoking, the friendly folks at Highlight Home Restoration of Atlanta have compiled three surefire ways to find a qualified professional renovator to help you implement change within your own home. 1) Word of Mouth – According to a recent article in McKinsey Quarterly, the business journal for McKinsey & Company – a highly esteemed global management consulting firm – word of mouth represents the primary factor for up to 50% of consumer purchasing decisions. While companies may spend thousands to millions of dollars on flashy advertising and marketing campaigns, those who focus on delivering excellent customer service, quality and results will always come out on top. Word of mouth is a free and valuable resource, and – for Highlight Home Restoration – is representative of up to 75% of our business through referrals. When planning something as significant as a modification to your home, it’s wise to look to friends, family, neighbors, and business associates for advice regarding general contractors and professional renovators they have used in the past or have heard good things about. Take word of mouth one step further and visit the company website to see if their methods and philosophy fits with your own, examine the work they’ve done, and read all of the reviews and testimonials you can get your hands on. Perform a web search and look for any negative feedback, as well. 2) Professional Organizations – It is always wise to dig a little deeper in order to discover if the general contractor or design-build firm you are considering for your next home renovation or improvement project is above board and will not leave you standing in the midst of a half-finished home while they take off with your deposit. 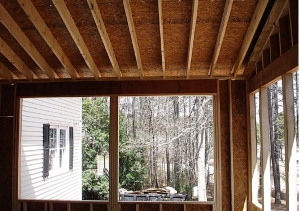 Some companies may take your project to completion, but their craftsmanship is shoddy, they may not have filed for all of the necessary permits, or they are not properly insured and licensed and your project may end up costing you far more than you originally planned in the long run. One way to guard against any of these scenarios from happening is to look into the company’s/contractor’s professional affiliations. If they have none, that’s probably not a good sign. Many of the professional builders organizations in Georgia and the United States require a membership fee to join as well as a review of business practices – in other words, they’ve already done a lot of the research for you. Highlight Homes and our renovation division Highlight Home Restoration are pleased to announce that we are members of the National Home Builders Association, Greater Atlanta Home Builders Association (GAHBA), Certified Professional Home Builders of Georgia and the GAHBA’s Remodelers Council . Highlight Homes is also the proud recipient of the 28th annual Obie Award – a great honor in the highly revered Atlanta Home Market, in addition to being a certified Earth Craft House Builder, Energy Star Partner, and LEED Certified Home Builder – fully committed to protecting the environment by promoting green initiatives in both design and construction of the homes and home additions we create. We are also extremely thrilled with our recent 2010 distinction as a Better Business Bureau accredited business. At Highlight Homes and Highlight Home Restoration, we are pleased to offer a wealth of “word of mouth” resources thanks in large part to our 25 years in the architectural design, remodeling and building industries, as well as our unswerving commitment to delivering quality craftsmanship and an incomparable client experience. We have worked hard to build a solid reputation in the Atlanta market through our professional affiliations and relationships with local real estate professionals, just like Zana Dillard of Dillard & Company Realty Group. We encourage you to do some research of your own when seeking a professional remodeler for your personal home improvement project, and we invite you to call on us when you’re ready to pare down the list for the right company to complete the job. We will be happy to discuss your project with you, and submit a bid for your consideration. The talented team at Highlight Home Restoration can be contacted by calling 678.873.9234, e-mailing info@highlighthomesga.com, or filling out our convenient online contact form. We look forward to hearing from you soon! Zana Dillard – Operating Partner/Associate Broker of Dillard & Company Realty Group in Atlanta has personally closed more than $100 million in residential sales since 1998. In addition to being a Georgia Realtor Institute Certified Agent, Licensed Associate Broker, and Senior Marketing Specialist, Dillard is the President of Homes of Distinction, a luxury program presented by Keller Williams. She is also an International Real Estate Specialist, a Multi-Million Dollar Producer, a Member of the Multi-Million Dollar Club since 1998, a Member of the Multi-Million Dollar Guild and has received the distinction of being listed in the Who’s Who in Luxury Real Estate. More than 30 Fortune 500 companies entrust their corporate relocations to the award-winning real estate group she founded, Dillard & Company. An Accredited Relocation Specialist and Certified Luxury Home Specialist, Dillard is an expert at easing a client’s transition into or out of the Atlanta metro area. This holiday season, Tony Pourhassan and the rest of the Highlight Homes’ Family wish to express our sincere gratitude to our wonderful clients who have served to make 2010 a year filled with continued growth and pleasant surprises. For each client we serve and every project we complete leaves an indelible mark on our team – from the founder of the company, to the designer, to the craftsman putting on our trademark special touches. We are truly honored to be invited into each of your lives and to be trusted with one of your most valued possessions – your home. 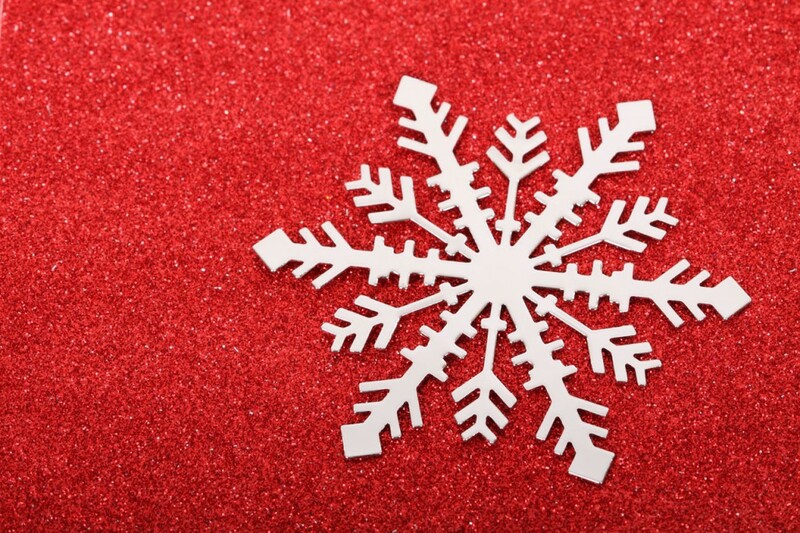 Thank you for making our holidays – and all the days of the year – happy ones. 2010 bore witness to Highlight Homes’ recognition by the Better Business Bureau as a “BBB accredited firm” and our certification as Lead-Based Paint Containment Specialists – making our restoration division an ideal match for renovations in historic homes and homes built before 1978. This year, we also launched our monthly e-newsletter – The Highlight Homes Herald – in order to communicate the latest news, renovation tips and special offers to our clients. In addition, we initiated The Highlight Hundred Club – an incentive program for clients who refer new clients to Highlight Homes and Highlight Home Restoration as a pocket-friendly way of expressing our gratitude, and we took a bold step into the future with our new mobile textsite through mobilezen. We beamed with pride when our company was featured in the Atlanta Journal-Constitution, and Remodel Atlanta Magazine earlier this year. Most recently, Highlight Homes’ parent company – TyCam Development – was selected to play an integral role in the planning and completion of a ground-breaking concept in mixed-use communities in Birmingham, Alabama – a “live, work, play, pray” community dubbed Daniel Payne Legacy Village. We can hardly wait to see what 2011 holds for this little ol’ family-owned and operated design-build firm! As we look ahead to the New Year, we are excited by the thought of all the new people we will come to know and new challenges we will undertake. We are eager to not only meet, but to exceed the expectations of families throughout Atlanta as we work together to transform their homes into their DREAM homes. From our family to yours, we wish you all a very Happy Holiday Season and a New Year filled with Joy and Promise! Although he now makes his home in Georgia, Atlanta Builder, Developer and Founder of Highlight Homes – Tony Pourhassan once called Alabama home. We’re pleased to announce that Alabama calls on Tony once again. With the recent rezoning approval of Daniel Payne Legacy Village by the Birmingham City Council, Tony and Highlight Homes’ parent company, TyCam Development, Inc. prepare to take a bold step towards Birmingham’s future. The long time Atlanta builder, architect and developer is excited about the possible ramifications that a development such as the one proposed for the former Daniel Payne College site could mean. First approached by land holders – Alabama’s Ninth Episcopal District of the African Methodist Episcopal Church (AMEC) – in February 2010, Tony was tasked with developing a plan and acquiring the approvals necessary to break ground on a revolutionary concept, a “live, work, play, pray” community in the heart of North Birmingham. Named after Daniel Payne (1811-1893), an esteemed educator, historian, bishop, and first African-American president of a college in the United States – the Birmingham-based University closed its doors in 1979 shortly following a devastating tornado in which the campus incurred widespread damage and subsequent financial woes. The 153 acres on which the college stood has remained in the hands of the African Methodist Episcopal Church ever since. The church maintained a number of offices on the property before moving their headquarters to downtown Birmingham in 2009. For many years, the elders of the church along with 9th Episcopal District Bishop James L. Davis have sought the best use of this large tract of land located in the northern sector of this bustling Southern city, as well as the best development company with which to partner. 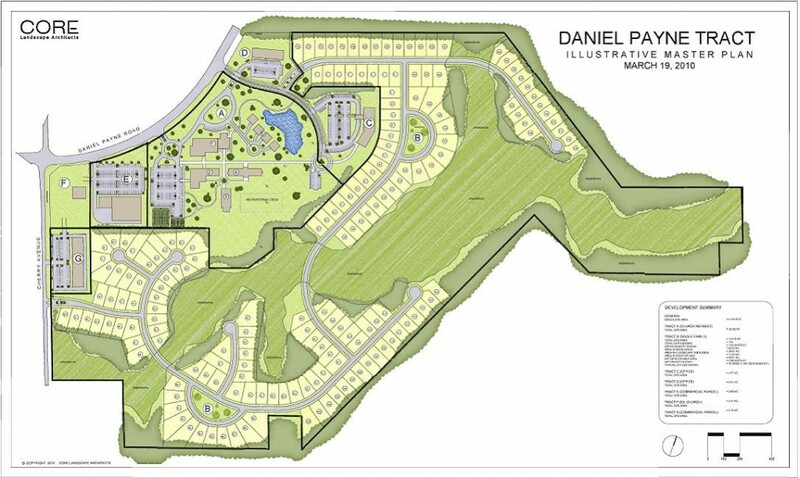 Their search led them to native son, Tony Pourhassan and TyCam Development, Inc.
Plans for The Daniel Payne Legacy Village include a community comprised of beautiful church retreat complete with lodging and conference facilities at the development’s core. Recreational space, more than 50 acres of green space providing beautiful park-like surroundings, and a bungalow residential community of nearly 120+ single-family homes will encircle the retreat. Handsomely constructed office space and a retail center will serve as the face of the Village along Daniel Payne Road. Now that the project has met with the approval of the Zoning Advisory Committee of the Birmingham Planning Commission, the City Council and the Honorable Mayor William A. Bell, Sr., Bishop Davis and Mr. Pourhassan hope to begin breaking ground on Daniel Payne Legacy Village in early 2011. In addition to growing Birmingham’s housing base and thrusting the city to the forefront with such a pioneering concept in mixed-use developments, Daniel Payne Legacy Village will also represent positive job growth for the city – with construction expected to span several years.